Argentina is a beautiful country of contrasts. 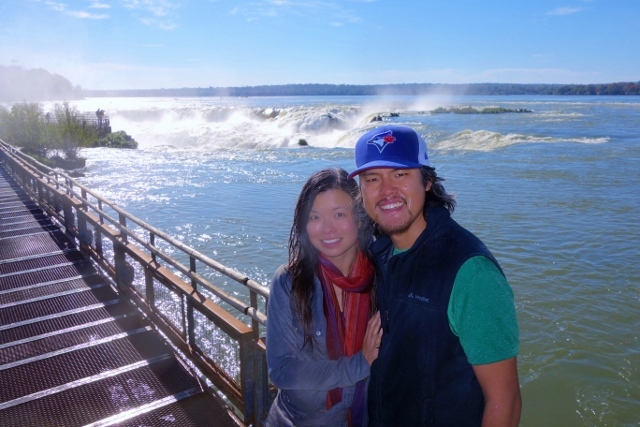 After reveling in cosmopolitan Buenos Aires for a couple of weeks, Jason and I decided to hit the road to soak in some heat in the subtropical climate near Iguazu Falls. It’s wintertime in Buenos Aires so we wanted a bit of a break from bundling up in sweaters and scarves. The main attraction of Iguazu Falls: Devil’s Throat. Before arriving in Argentina, we were warned to be careful while in the country. The economic situation had pushed a lot of people to desperate measures. Jason and I (as well as our possessions) were safe while in Buenos Aires. 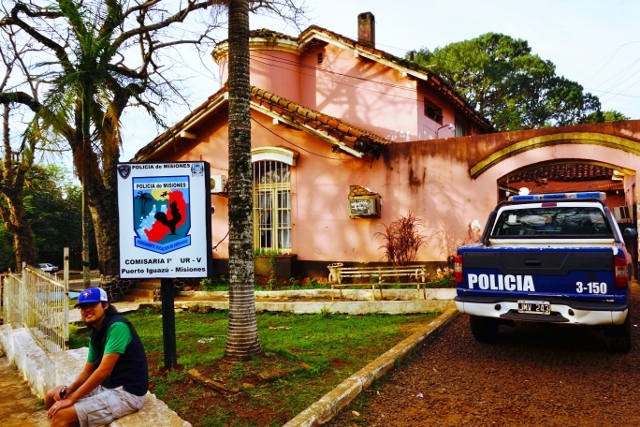 But on our way from Buenos Aires to Iguazu Falls, we experienced our first theft. We took an 18-hour overnight bus and I had my sunglasses, Patagonia rain jacket and the monogrammed Swiss Army knife (that my dad got for me from Switzerland) stolen from the secure luggage compartment under the bus. (Warning: Do not use Expreso Singer bus company if you want a bus company that cares about your belongings). 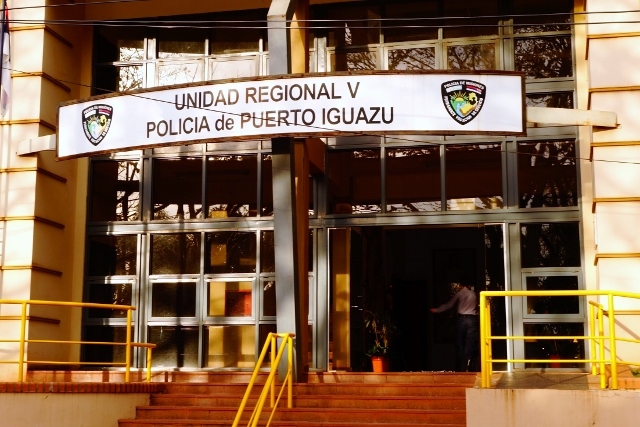 So upon arriving in Iguazu Falls and discovering our things were stolen, we had to deal with the hassle of filing a police report. First of all, imagine the inefficiency associated with filing a low-priority report with the police, then compound that experience with trying to communicate with a police officer who does not speak any English whatsoever. We were originally instructed to go to the main police station to file our stolen items report. However, we were subsequently directed to this little mickey mouse operation police station for our police report. 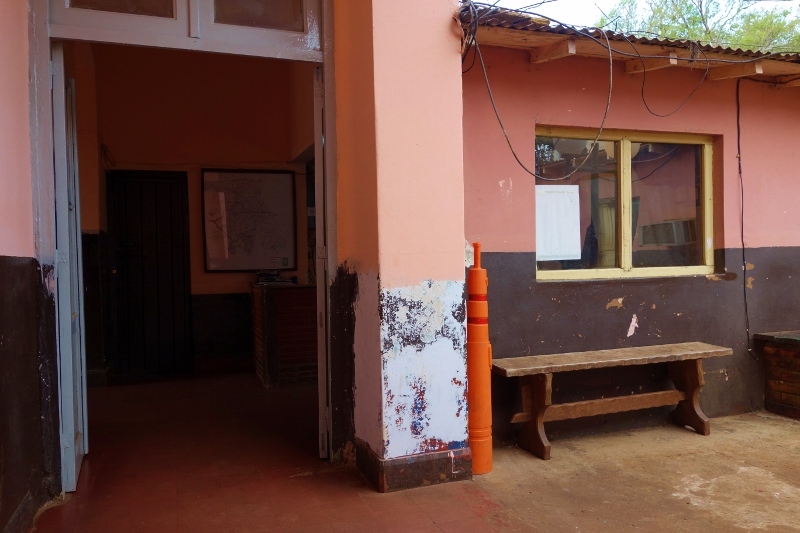 Inside the little police station, we were directed to a wooden bench. We passed 6 levels of ‘Plants vs Zombies 2’ on that bench. Using whatever broken Spanish we possessed, we managed to piece together the story for the officer. After two hours at the station, we finally had a police report that looked half-legit and half-joke. On the upside, we had booked a few nights in a great little lodge in the jungle on the outskirts near Iguazu Falls. It was a perfect little getaway after the hustle and bustle of Buenos Aires and dealing with the aggravation of having our things stolen. 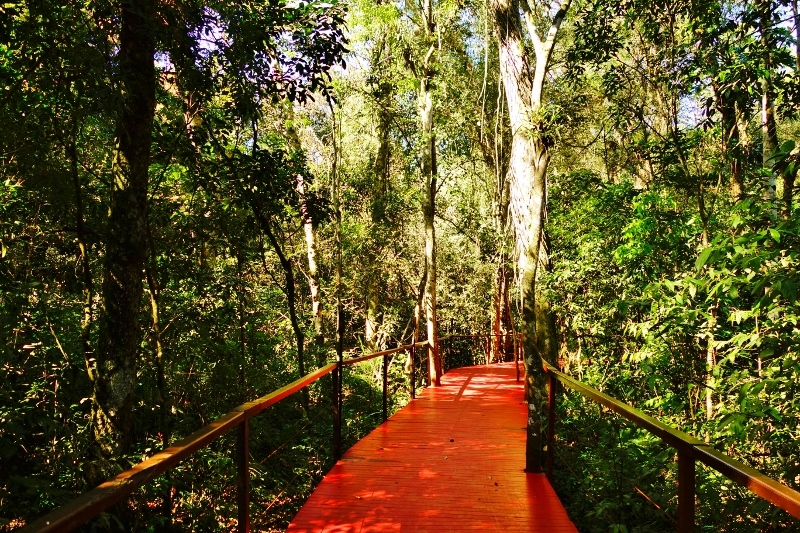 The walkways between the main reception area and our lodge at La Cantera. We spent the first day just relaxing and lounging by the pool. It was perfect. At one point, I turned over to Jason and said “I am so happy right now”. The stress of having our things stolen had completely dissipated in the sun and fresh jungle air. 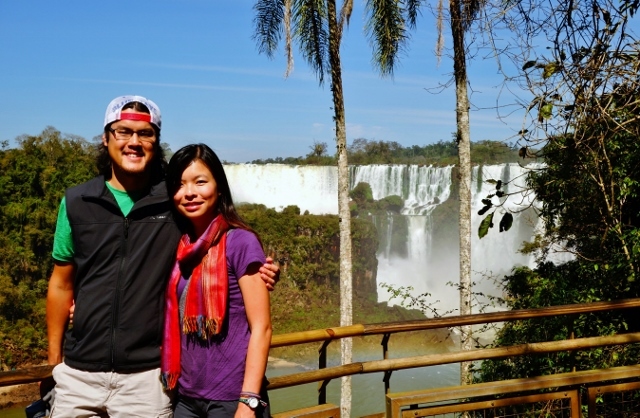 The next day, we made our way to the falls to see one of the ‘New Seven Wonders of Nature’. 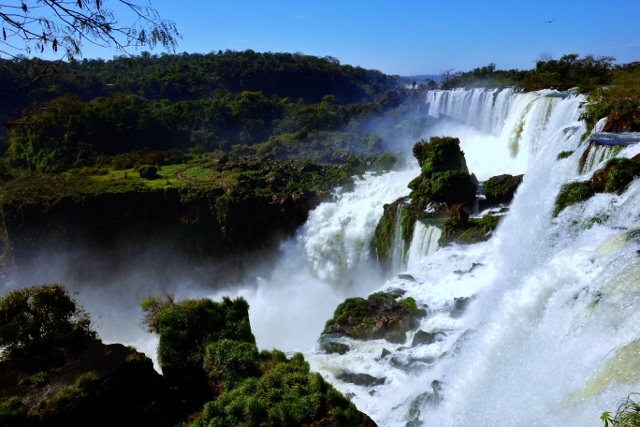 It’s nestled at the borders of Argentina, Brazil, and Paraguay, although 80% of the falls fall on the Argentine side. 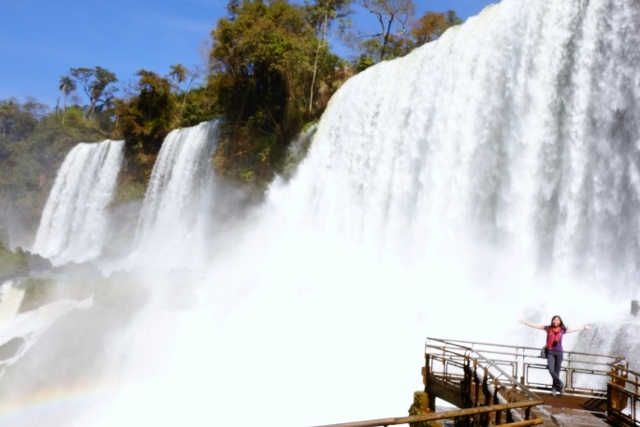 It’s probably the world’s most impressive waterfalls, with 275 separate falls spilling over jungle cliffs. 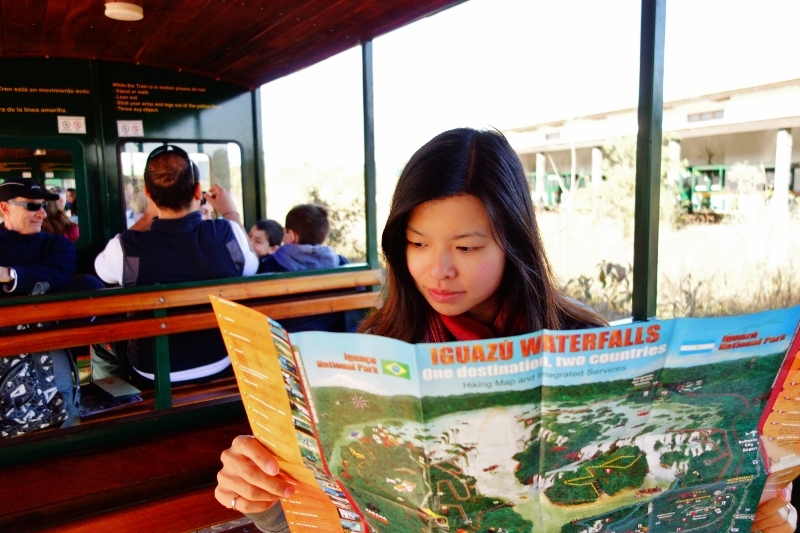 Iguazu Falls was one place that everyone unanimously told us was a ‘must-see’. Jason was a little skeptical. “It’ll probably be like Niagara Falls“, was what he said. 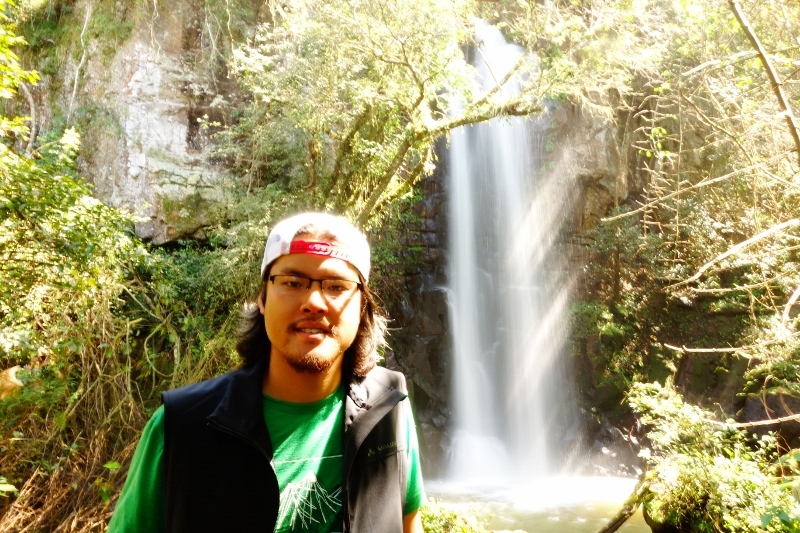 However, after seeing the jaw-dropping views and experiencing the thundering rush of standing over the falls, even Jason was gushing about how awesome Igauzu Falls was. And ‘awesome’ is not a word Jason used lightly. We spent the day visiting three main viewing sections. 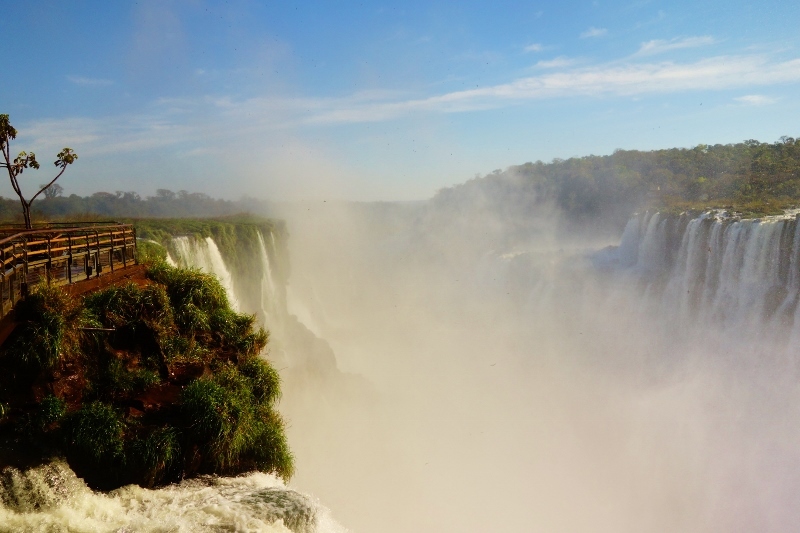 The highest section lets you stand right over the main attraction of the Argentine side of the falls: Devil’s Throat. There’s a free tram that takes you to a 1km-long walkway. 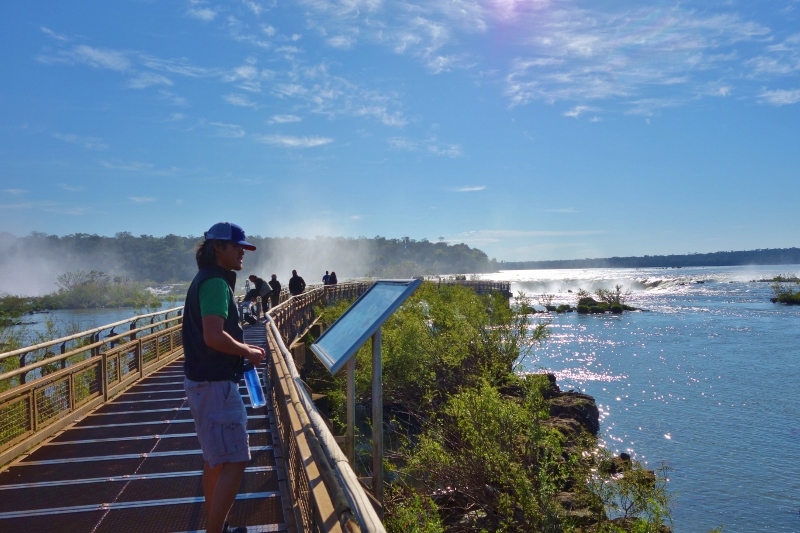 It spans the upper Iguazu river before ending at the main look-out point. Almost there! We can see the mist from here. We (along with most visitors) got drenched so we weren’t able to get any good pictures up there. Water and mist coated our camera lens and the wind gusts were a little crazy. Standing over Devil’s Throat. No escaping the misty gusts of wind. Another view of Devil’s Throat. This is probably the only clear picture I have of this section. Leaving Devil’s throat completely drenched. The middle section lets you take a relatively short walk along the upper rim of the falls. Standing at the edge of the falls. Pretty awesome view of the falls below us. 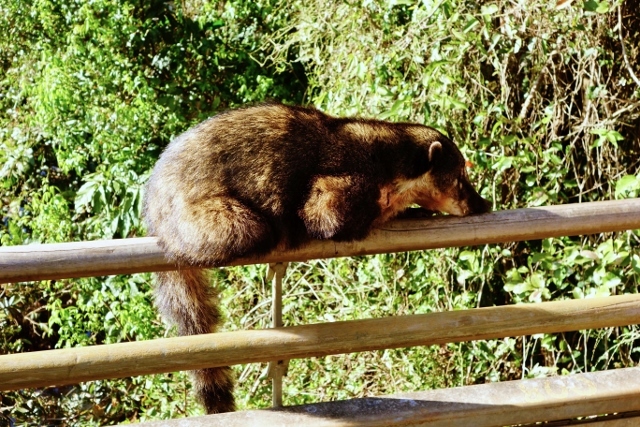 This little guy lounging in the sun is called a Coati. He looks like a cross between a raccoon and a possum. They are everywhere in the Iguazu Falls park. And are not afraid of people. They look pretty cute (IMO), but can be pretty vicious if provoked (or want your food). The lower section is a longer walk but provides the most complete views of the falls. It also lets you get up close and personal at the bottom of the falls. 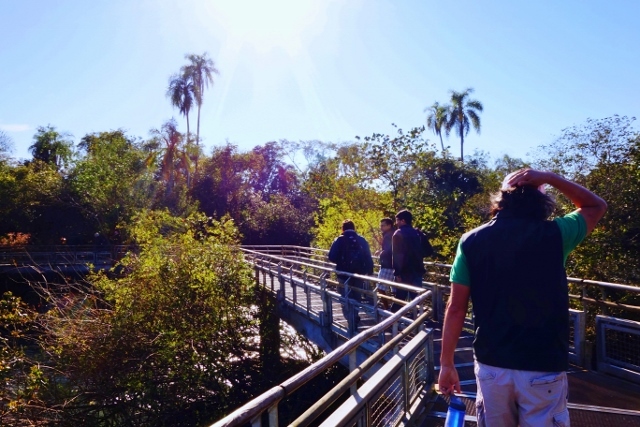 Gorgeous views from the lower walkway in Iguazu Falls. We even visited some of the smaller falls scattered around the park – most of them overlooked by tourists clamoring for views of the larger falls. 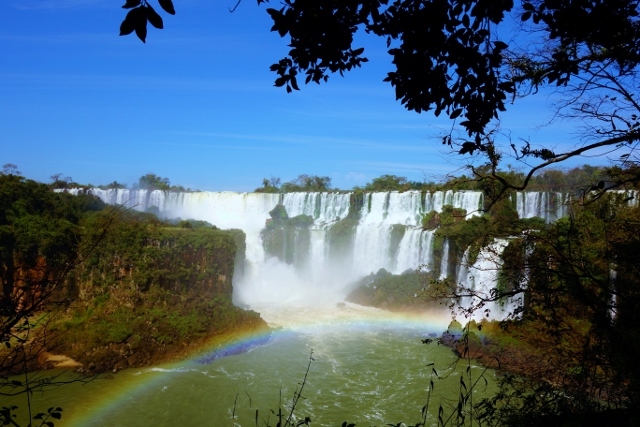 Iguazu Falls was one of our highlights in South America. It was gorgeous to see and exciting to experience. 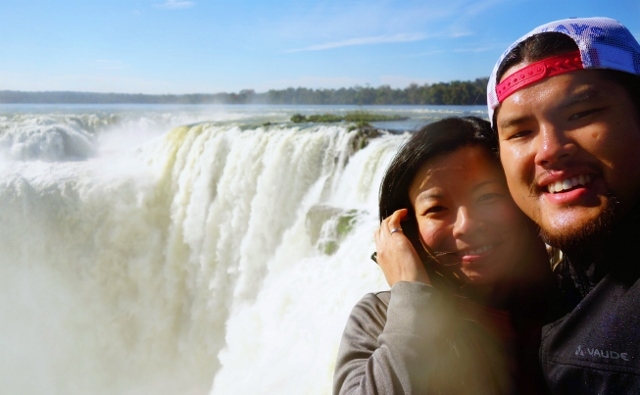 We can definitely see why Iguazu Falls was on everyone’s “must-see” list. 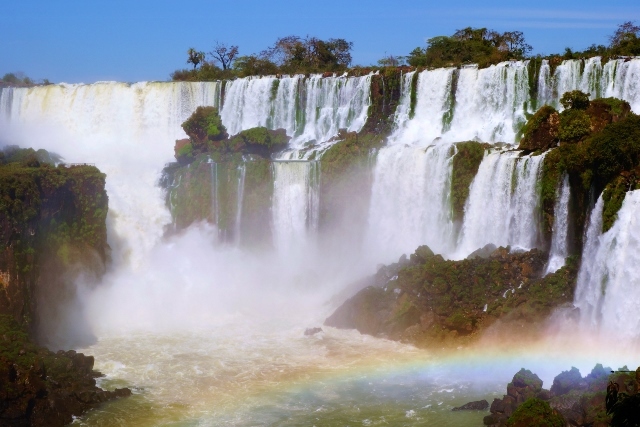 This entry was posted in Argentina, South America and tagged Argentina, Coati, Devil's Throat, Expreso Singer, falls, Iguacu Falls, Iguazu, Iguazu Falls, jungle, overnight bus, police, rainbow, South America, theft, waterfalls by Jenn. Bookmark the permalink. Hi! 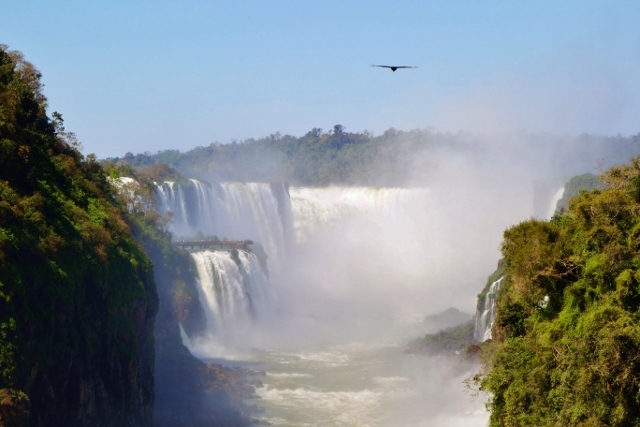 I am planning a trip to Iguazu for December and looking for some recommendations. The lodge where you stayed sounds fabulous – mind telling me the name? Also, how did you get into the park from there? Hi Jane! The lodge we stayed at was called “La Cantera Jungle Lodge” Its a little out of Puerto Iguazu town so you may want to keep that in mind if you want to spend a lot of time in town. The hotel organized a shuttle service that took us to the park at 8am and picked us up at 3:30pm. Have a great time! Let me know if you have any other questions.